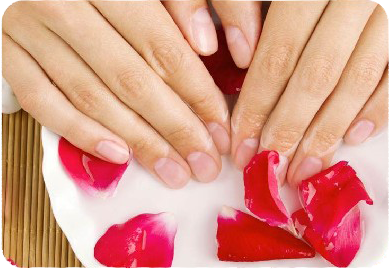 Our STANDARD manicure consists of natural nail care, cuticle removal, relaxing hot towel wrap, 5 min. massage, and your choice of polish. Our Organic Dream manicure includes all special organic aromatherapy mask, lotion and stone massage. Your nail care also consists of cuticle removal, paraffin wax, relaxing hot towel wrap. Enjoy 15 min. massage with our special organic massage oil and your choice of polish. 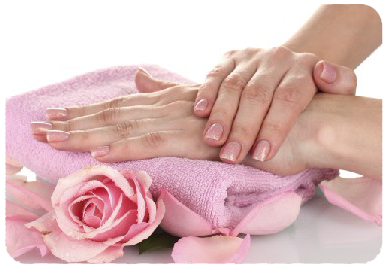 Our Majestic manicure includes special aromatherapy products with mud mask and paraffin treatments. Your nail care also consists of cuticle removal, relaxing hot towel wrap, 15 min. massage with our honey butter or warmed soy candle, and your choice of polish. 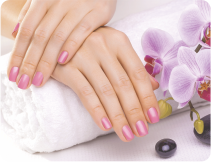 Our SPECIALTY manicure includes our soothing lotion. Your nail care also consists of cuticle removal, relaxing hot towel wrap, 10 min. massage, and your choice of polish.